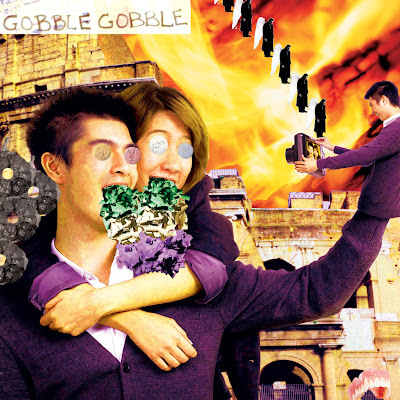 Gobble Gobble's new 12" single drops the 7th on deBonton. In addition to several highly energized dance infused tracks, that have been floating around for a while now, it also features two remixes. To give you the scoop: Sundance remixed Boring Horror—an already highly danceable track—into something more along the lines of a "traditional club jam", where Second Date took a different approach, and remixed Eat Sun, Son into something that has completely confused my natural urges to either get up and dance, or to just sit back with my thoughts and watch the rain run down the window. It's a track where chaos meets peaceful beauty; I don't think I've heard anything like it—totally fresh. You can pre-order this maxi-single over at deBonton or wait for it to come out on iTunes here. The digital version also comes with an extra bonus track.